"Which is the Traditional home to Irish Trad Music"
There are eleven bedrooms, all are en-suite but each one is individually styled, all decorated in keeping with the character of the house. Our Conservatory Restaurant which overlooks the Shannon and Fergus estuary has the perfect ambience for a Romantic Dinner. We have the ideal location for your wedding, we can cater for receptions from 20 to 100 people. A wonderful setting for an intimate wedding in County Clare, our historic country house could be the perfect venue for your big day. With it's rural and tranquil setting surrounded by green pastures, we offer you the opportunity of a unique and memorable experience. Perfect for a drinks reception or ideal as a background for timeless photographs, the charming courtyard at the rear of the house is also ideal for special private blessings. Before you shoot off across the countryside cursing your satnav and it's tendency to become irate as it announces that it is 'recalculating' your route, have a think about the aspects that make your venue perfect. Shortlist destinations with a view to visit your top three to confirm they can facilitate your requirements. If it helps take a piece of note paper with you so that you can remember the conversation. The first aspect that you need to clarify is the size of the venue. Will they be able to accommodate your needs? Ask how many they will be able to comfortably seat for your meal. Extra seats and bumping elbows generally result in messy clothing and large dry cleaning bills. Remember that you will most likely be inviting extra guests to the evening reception and this will require extra space. Bands and DJs also tend to require quite a bit of room. Check that the venue can accommodate you, your guests, your entertainment and still have room for a dance floor. Your Special Day needs a Special Place and The Abbey Hotel in Donegal Town provides you with everything you need to make your celebration a memorable one! 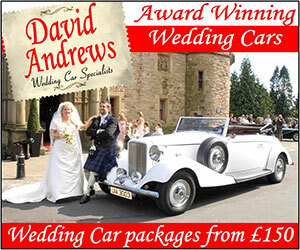 Weddings with Style at a price that will make you smile! 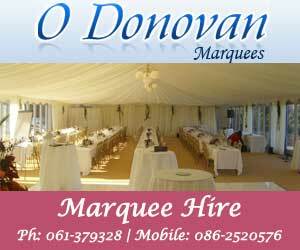 The perfect wedding deserves the perfect setting: exactly what you get at Dolmen Hotel Carlow. Romantic scenic views, unrivaled value all inclusive packages & a reputation for delivering unique & memorable weddings has established Dolmen Hotel as one of the South East's leading wedding venues. Cavan Crystal Hotel provides luxury accommodation on the outskirts of Cavan town. An eye catching interior design is the first indication that this is a hotel which is very much contemporary in outlook, but traditional in its sense of warmth and welcome.